Everything starts with a dream. Great stories, great achievements, great drama. In a dream anything is possible. Without a dream, there is little hope. In 1881, Alderman J. Simpson Yeates gave hope to Penrith with his vision of creating opportunities for people through Swimming. Today his dream is stronger than ever. 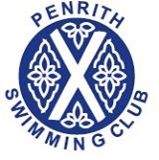 Many members of Penrith Swimming Club have performed feats that some might not even dare to dream about. Speed, skill, strength, endurance and intelligence; tremendous abilities that will at first surprise you, but ultimately will inspire and excite you. Once, a wise man said: “A dream you dream alone is only a dream. A dream you dream together is a reality.” In 1881 Alderman J. Simpson Yeates and twenty-four youthful enthusiasts dreamed of creating a club to promote the sport of Swimming and provide opportunities for the community, now because of our members, we are living that dream. Swimmers, keep fighting, play fair, have fun and keep pushing your limits. Above all keep dreaming, and may your dreams be realised. Your extraordinary stories are what dreams are made of and will be told for years to come.